Personalized, private retreats on Maui for individuals, couples, families, friends and small groups. On Maui we offer numerous modalities and customize the retreat (relationship, spiritual growth, wellness) to meet your needs. We also provide pre-0rganized group retreats, and customized Group retreats are available for your team, family, organization or friends! While we offer retreats with a specific focus (like relationships, wellness, yoga, labyrinth, creativity, spirituality, adventure, photography, hiking, scuba diving, etc), you are not limited to one area of study. You can pick and choose sessions that align with your personal interests. More important than “the kind of retreat” is what your needs are at this specific time of your life. Here is a list of questions that may help you in your consideration. 2) Pick from one of our pre-designed retreats! We offer several already designed retreats, even One Day to Yay! retreats! 3) “Build Your Own Retreat” by picking and choosing from the “menu” of Session Descriptions. Consider what your intentions and desires are for the retreat. The “Build Your Own Retreat” page will help guide you. Whether you want one a la carte coaching session or a retreat intensive, we offer Maui’s Best practitioners to work with you and meet your needs. In general, our sessions run between $195 and $350, depending on what the session entails, how long it is and whether it is for one person or two. If you guestimate each session you choose at $250, you will be within the ballpark, give or take a bit. Accommodations are generally $150-$199 a night plus tax and a cleaning fee. Please keep in mind that you can have ANY session we provide during the course of ANY retreat. Of course, the length of your retreat is entirely up to you. Consequently, the cost is up to you as well and the number of sessions can be adjusted to meet your budget. Once we have your itinerary the way you like it and you are ready to book your retreat, we will ask for a 50% deposit so as to reserve the practitioners and accommodations. The balance of the retreat will be due upon arrival. Accommodations are usually required to be paid in full 60 days prior to your stay or at the time of booking if within the 60 day cancellation period. It is possible to work out other payment arrangements, so just let us know what you need. Food is not included unless you have requested the juice cleanse or the Kitchari Cleanse options. If you want food catered, let us know and we will make arrangements at an additional cost. You will need a rental car to get around on Maui. There is a bus system but having a car is infinitely more convenient as the bus stops are too far away from accommodations and the garden. If a car is not an option for you, let us know and we’ll help you arrange transportation. Have more questions? Check our Frequently Asked Questions and Helpful Information for answers! Not sure? Check out our testimonials from our happy clients …and read about Why you should choose Heart Path Journeys! 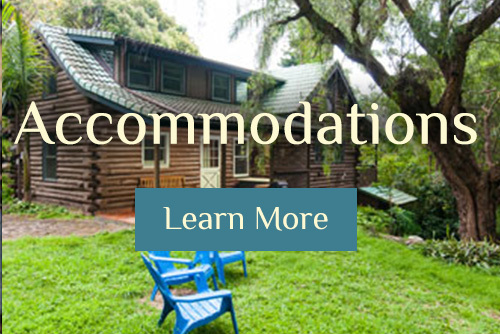 You will check into your accommodations (there are on-site accommodations as well as an assortment of adorable private bed and breakfast vacation rentals on Maui), unwind and relax. 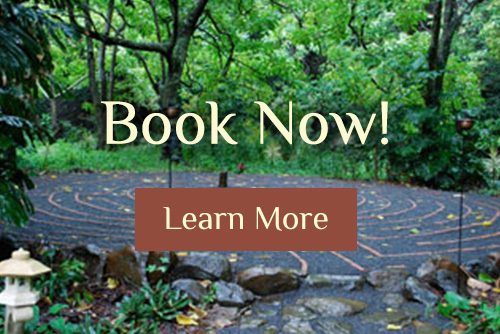 Depending on how soon you opted to begin your retreat, you will check in the next morning at The Sacred Garden, meet Eve or another Heart Path Practitioner for your Orientation Session. The orientation will include both setting your intentions and identifying that which you wish to release on your journey. An educational tour of the land and an introduction to the plants of the area are included in your orientation, if desired. The Sacred Garden is a working nursery, organic farm and wild coffee plantation! Again, depending on how your itinerary is scheduled, you will have anywhere from one to four sessions in a day, each day from then on. You are also welcome to have free days, if you so choose. Sessions range from an hour and a half to two hours, however hikes and adventures in awareness are more often 2 and a half to 5 or 6 hour excursions. Most of the sessions will be either in your accommodations or at The Sacred Garden, however on occasion the session will take place in a practitioner’s office location—especially if they have a particularly beautiful office or when their location is integral to the session. Unless you signed up for a group retreat, these are PRIVATE SESSIONS meaning that, unless you are on a couple’s retreat or are going through the retreat with a friend, all of your sessions will be one-on-one with the practitioner. Our practitioners work as a team to be sure that your retreat is everything you want it to be and that your intentions are thoroughly addressed. We don’t want you spending the first half of every session retelling your story so your team of practitioners will communicate with each other, sharing pertinent details of your situation, what we shared with you and what we think you would benefit from. This allows us to be in the highest service in meeting your needs. We build and deliver your retreat sequentially, in alignment with a progression toward transformation. We start with the preparation phase—contemplating where you have been and Identifying where you are. We gently guide you to open your heart, access your inner wisdom, and release that which no longer serves you. Then as we move deeper into the sacred journey, you will gain new skills, new tools and a new perspective with which to tackle your life circumstances. Every retreat ends with an Integration Session in which we make sure that you are well equipped with the skills and tools you need to integrate all that you have gained on your journey so that you can implement it in your life when you return. 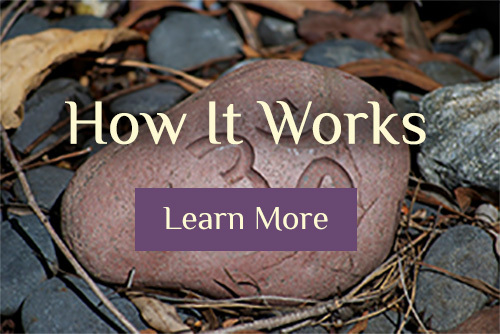 Throughout the retreat you will have a guide overseeing your journey of self-awareness, growth and healing. Hence, the orientation at the beginning, the integration at the end and the point of contact throughout will all be performed by the same person to ensure a cohesive experience. If you feel you want ongoing support, or even just a few follow up sessions, all of our practitioners are available for phone sessions and some are perfect for ongoing life-coaching programs to assist you in the highest level of support while moving forward. Please keep the time difference in mind if calling. Hawaii is 2-3 hours earlier than the west coast of the US and 5-6 hours earlier than the east coast.